Gartner reports that artificial intelligence (AI)-driven applications play an essential role in 5 of the top 10 strategic predictions for 2018 and beyond.1 Even though AI is a dominant topic in business discussions across industries, results from a recent survey imply that many marketers feel ambivalent about the effectiveness and practicality of AI.2 The Arteric team created this slide presentation and supporting commentary to provide marketers with practical examples that may help them make wise choices about whether to apply AI, and if so, how. The examples illustrate how AI accelerates identification and validation of critical market insights. You’ll also learn what actions to take today to succeed in a future driven by AI, natural language processing, and voice interfaces. [Slides 1-4] AI’s ability to evaluate multiple variables within massive volumes of marketing data enable this technology to detect weak behavioral signals that evade human analysis. AI’s processing power then extracts patterns of audience needs and behaviors that analysts convert into insights to guide brand strategy. Google reported in 2016 that 70% of all voice searches entered into Google Assistant were expressed as natural-language questions.9 Natural language, or conversational language, is how people speak with other people. “How much aspirin should I take?” is an example of a natural-language voice search. Typing the keywords “aspirin” and “dosage” into a Google search window is the antithesis of natural conversation. Natural-language inquiries require search analysts to extract context and intent, not just keywords, from marketing data. In addition, people can ask the same question in many different ways. Both characteristics increase the volume and complexity of data processing required for search analysts to extract insights from marketing data (eg, pay-per-click data and analytics data from the Google Search Console tool). This increase in data volume and complexity encounters the limits of human-based data analysis quickly, making it impractical to scale personalized content and experiences. [Slide 11] Arteric’s objective is to position our clients for success today and 18 months down the road. To accomplish this, we pay close attention to what Google is saying. Google has stated that it may give priority in the search results to content that is relevant and authoritative and that answers a question or enables the searcher to complete a task. Arteric analysts scour brand marketing data to find insights that enable brands to create content that satisfies these factors. [Slides 12-15] To assess the effectiveness of a brand’s content strategy, Arteric analysts evaluated data from 55,000 online searches. We identified 1,700 brand-related questions, of which 235 were appropriate to be addressed by the brand’s content. 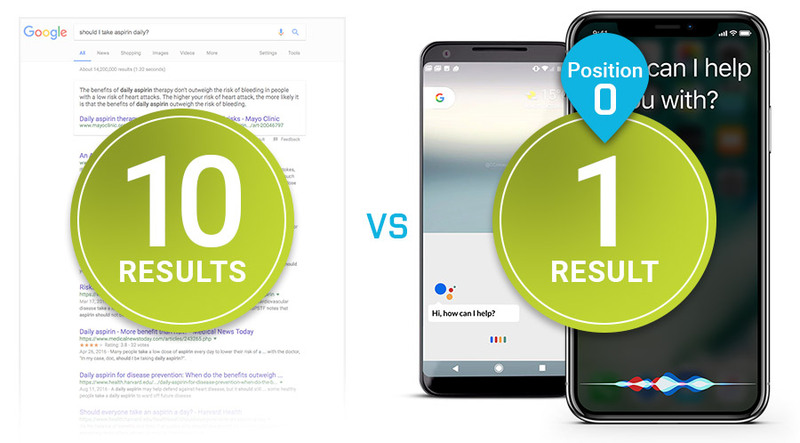 We performed deep search engine result page (SERP) analysis by evaluating 175 of these questions to determine if Google served up brand content that answered the user’s question. 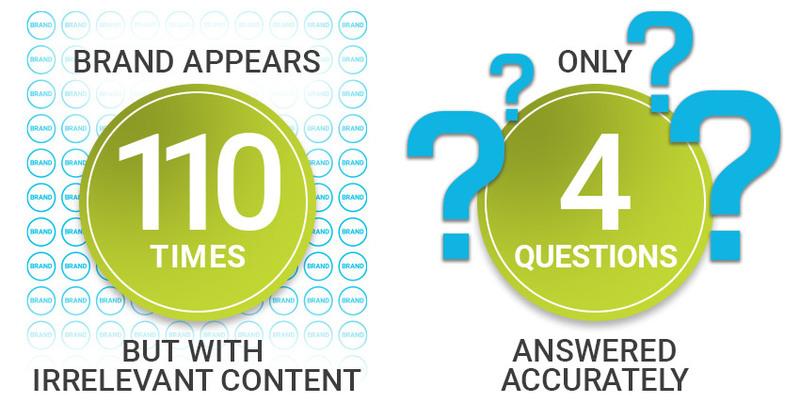 The results — brand content appeared in the search results 114 times but answered only 4 questions with relevant, authoritative content. It took 80 hours of analyst research to identify this huge customer experience gap. Being software engineers as well as healthcare strategists, we’re always asking ourselves if there’s a technology solution that would enable us to work smarter and faster. Arteric analysts are as good as they come, but humans have limitations when it comes to data analysis. It’s challenging to cost-effectively analyze much more than 50,000 to 60,000 data points. And there are only so many variables within the data that humans can simultaneously evaluate. These issues limit humans’ ability to detect trends, especially when signals are weak and scattered. We sought a technology to overcome these limitations. This brought us to AI. [Slides 16-19] Before describing how we applied AI to address a comparable business problem, it’s important to introduce a few fundamental concepts. AI is not an out-of-the-box solution. Each solution must be optimized according to the needs of the business problem to be solved. AI is a collection of many algorithms. Natural language processing, which enables AI to understand the meaning and context of human language, and machine learning, which allows the AI solution to self-improve, are frequently mentioned approaches. But there are many capabilities to consider when evaluating an AI solution. Data: Brand marketing data are the most essential component of an AI solution. The data contain hidden market insights, but the data are also used to “teach” the AI algorithm how to perform the analysis that uncovers the insights. Pay-per-click and Search Console data, social media feedback, customer service transcripts, and any form of data that discuss the brand must be digitized and warehoused under the brand’s control. The brand must be in full control of the data. If you’re not warehousing all your marketing data, start today. Technology: AI technology has two functional components. The analytical “engine” provides the functionality that evaluates the marketing data. Many commercial AI engines are available, but it’s essential to select the engine with the capabilities that best align with the business problem that the analysis must solve. Brands are best served when they work with a vendor who can accurately analyze the brand’s business problem, narrow it to a solvable problem, and recommend candidate algorithms. The second technology component is an interface that uploads the marketing data into the engine. The interface is custom developed and reflects the nature and structure of the data. Strategy: Selecting the appropriate engine is the first strategic decision. Next, the engine must be taught how to analyze the data and must be given appropriate training data. If the business problem involves common knowledge (eg, which color of car do women prefer? ), Wikipedia would provide appropriate training data. If the analysis requires disease-specific content, medical journals would be used to train the engine. [Slides 20-23] Zicam® is a leading developer of homeopathic OTC remedies for colds and cold-related ailments. Through human data analysis, Arteric helped the brand reach its sales goals one month early. We then searched for ways to improve on these results. Based on the available pay-per-click and Search Console data, the strategy we selected would require analyzing a minimum of 250,000 data points. This would require at least 300 hours of human data analysis. This inspired us to develop an AI solution. Guided by the specifics of the business problem that had to be solved, we evaluated numerous vendors and selected the Retina AI engine from Cortical IO. Arteric’s development team created the interface that uploaded data into the engine. We applied the AI solution to uncover how audiences in the United States were inquiring about cost and other issues related to Zicam®. 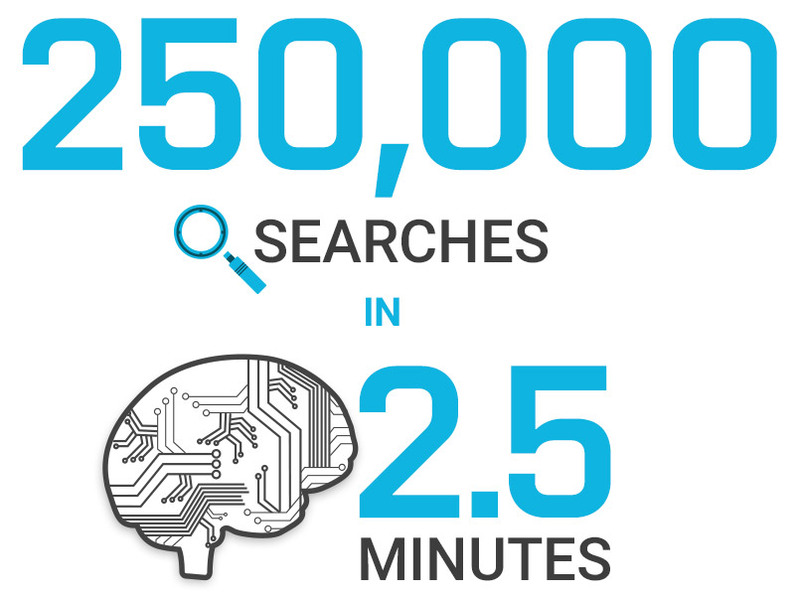 We analyzed 250,000 searches in 2.5 minutes, a nice speed boost compared with the 80 hours required to evaluate 55,000 data points in the past. The dramatic processing speed made it practical to further analyze the Zicam marketing data. Just for fun, we tasked the AI solution to identify the OPPOSITE of cost and the other issues that the AI solution initially evaluated. To our surprise, we uncovered a handful of foreign-language inquiries in this English-only campaign that ran solely in the United States. 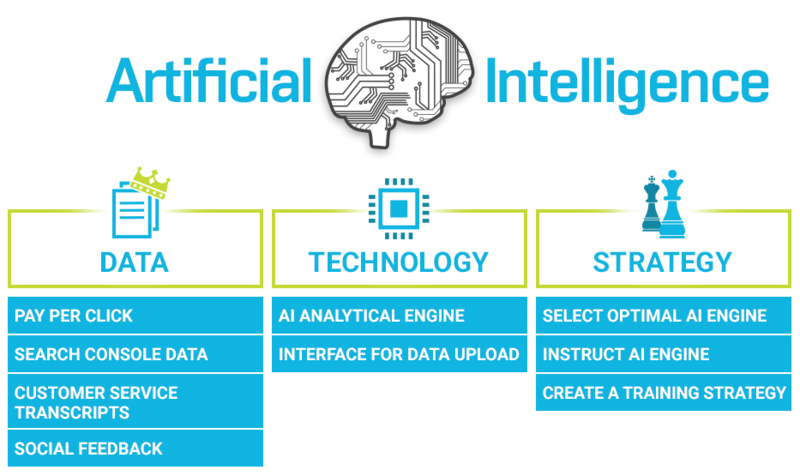 Intrigued by the unexpected data, we integrated the AI solution with algorithms that translated data and classified the data. The surprise grew. The multilingual algorithm identified 147 foreign-language inquiries, nearly all relevant to the brand. We shared this with the client. The AI data corroborated client data that were generated independently. As a result, the client is considering multiple new strategies to address the market. [Slides 24-26] Data contain the value that technology and strategy unlock. But the key that fits the lock is human curiosity and the desire to look beyond the obvious. It’s undeniable that AI requires exceptional technical and analytical expertise. But explorative, playful thinking that reimagines what we might find if we look past the obvious is also essential. Data Are Your Intellectual Property. Treat It Accordingly. Data provide the fuel that powers AI. Even if you don’t plan to utilize AI in the near future, it’s essential to collect any and all marketing data and warehouse them. Ideally, the data should be well organized and highly structured; but if nothing else, take action to ensure that your brand is gathering and securely storing every byte of marketing data. Current AI algorithms solve narrowly defined business problems. Broad problems that are loosely defined won’t be solved by today’s AI and machine-learning solutions. The technology and the data required to solve broad problems are not feasible for healthcare marketers. Multiple talents are needed to develop, apply, and optimize an AI solution. Brand business owners and strategists, data experts, software developers, and a visionary strategist to connect the dots comprise a complete team. The common thread that binds the team is that every participant — internal or external service provider — must have expert-level familiarity with the nuances and intricacies of the business problem that the AI solution must solve. I discuss these and other elements of AI success in the podcast “How Artificial Intelligence Can Dramatically Improve Your Pay Per Click Campaigns,” presented by Life Science Marketing Radio. AI as a tool for marketers is in its infancy, but the Arteric team is optimizing its use in healthcare campaigns. We’re here to answer your questions about AI or other marketing technology, so don’t hesitate to call us at 201.546.9910. Panetta K. Gartner Top Strategic Predictions for 2018 and Beyond. October 3, 2017. https://www.gartner.com/smarterwithgartner/gartner-top-strategic-predictions-for-2018-and-beyond. Research International. 2017 Trends in Personalization Survey Report. 2017. http://www.evergage.com/resources/ebooks/trends-in-personalization-survey-report. Rajpurkar P, Irvin J, Zhu K, et al. CheXNet: Radiologist-level pneumonia detection on chest x-rays with deep learning. Archive.org Web site. https://arxiv.org/pdf/1711.05225.pdf. Updated November 25, 2017. Levy HP. Gartner predicts a virtual world of exponential change. October 18, 2016. Gartner Web site. https://www.gartner.com/smarterwithgartner/gartner-predicts-a-virtual-world-of-exponential-change/. IDC. Worldwide Smartphone Forecast Update, 2016–2020. https://www.idc.com/getdoc.jsp?containerId=US41515416. Paging Dr. Siri. DRG Digital. 2017. http://www.drgdigital.com/ebooks/paging-dr-siri-physicians-and-the-rise-of-voice-assistants. Meeker M. Internet Trends 2017 — Code Conference. May 31, 2017. http://www.kpcb.com/internet-trends. Nicas J. Google has picked an answer for you—too bad it’s often wrong. Wall Street Journal. November 16, 2017. https://www.wsj.com/articles/googles-featured-answers-aim-to-distill-truthbut-often-get-it-wrong-1510847867. Huffman S, Chandra R. Your Google Assistant is getting better across devices, from Google Home to your phone. Google Keyword blog. May 17, 2017. https://blog.google/products/assistant/your-assistant-getting-better-on-google-home-and-your-phone. The building blocks of AI. Wizeline blog. April 13, 2017. https://blog.wizeline.com/building-blocks-of-artificial-intelligence-machine-learning.